It’s Severe Weather Awareness week and with the threat of tornadoes upon us, I feel it important to remind you of some important safety tips. Last year around this time, I brought you some crucial information on Tornado Safety. Unfortunately, none of you listened and most of you were killed by tornadoes. Therefore, I’ve compiled the following 7 crucial tips to keep you safe. 1) If you’re driving and ever sucked up inside of a tornado, ALWAYS KEEP YOUR WHEEL SHARPLY TURNED. If your tires straighten out in the least you will be shot right out of the tornado. 2) Once you reach the top of the tornado you have two options. One, you must QUICKLY shift your vehicle in reverse and back yourself all the way down OR…. 3) Keep driving and wait for the next tornado to come along and take that down. The danger here is that you could be stuck for a long time waiting for the next tornado, it could take years. Often times, when people suddenly vanish and they turn up years later, this is what has happened to them. 4) Firing a gun at a tornado may slow it down, but it will NOT stop it. It’s best to stay in the basement. 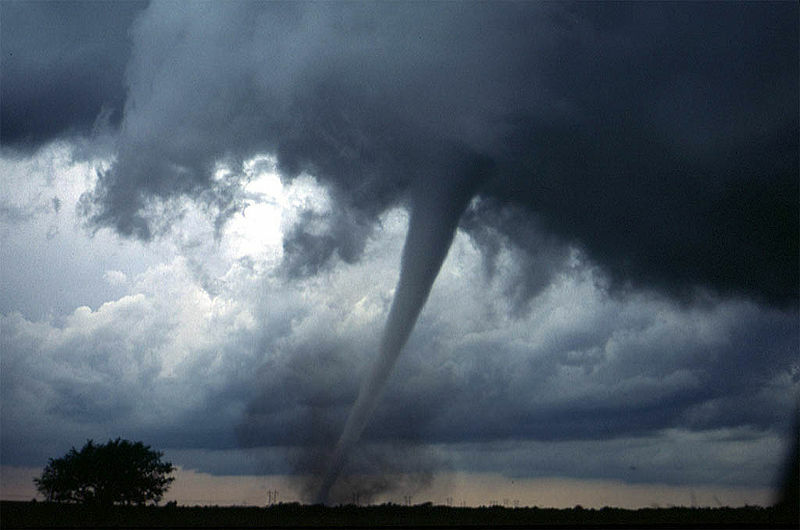 5) If you hear a tornado siren go off, destroy everything around you in sight. Once the tornado approaches, it will think another tornado has already been there and spin away. 6) The tornado’s natural enemy is the volcano. Now creating a volcano in your back yard can be dangerous, so it’s best to create a sort of “scare-tornado,” a fake volcano that you can set up in your backyard. However, keep in mind that the fake volcano will only work if you use real lava and you figure out some way to make it erupt. 7) You can also set up a trap for the tornado. This is simple to make. Just dig a hole in your backyard and cover it with grass. Then, when the tornado falls inside, fill the hole in quickly. All of your problems will be done. Except for the massive earthquakes that this will cause. *advice may or may not lead to shorter tornado season. I wish I had this advice on Saturday when I was hunkered down in the basement. I’m going to start on my pseudo-volcano so I’ll be ready for next time! I’ll go down guns blazing. That’s badass! You just went up 3 notches in my book. What about nightriders car, different rules for that? I’ve found that the hole-in-the-ground technique works best if it’s deep enough to contain a trailer park as bait. There is another way: set up a perimeter of wind turbines around your house. Then, according to the Murphy’s law, a tornado, or any wind in general, will not come near your house. Fight torandoes with tornadoes. I like it. “wait for the next tornado”… So it is like waiting for public transportation? Is that why when tornadoes are coming they sound like a freight train? Exactly! And they’re about as reliable as public transportation. Thanks for such great advice. I have never witnessed one thankfully. If you ever do, follow these instructions! Sound advice. Any tips on precipitating the end of Titanic Centenary season?